b6168196f32d28de1385c908970a556a – ADVOCATES FOR FINE ART ENAMELING INC.
Mural by Stefan Knapp. 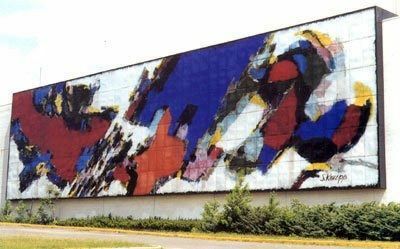 1961 Enamel on steel, 200 ft x 50 ft. Originally on display at Alexander’s Department Store in Paramus, New Jersey.